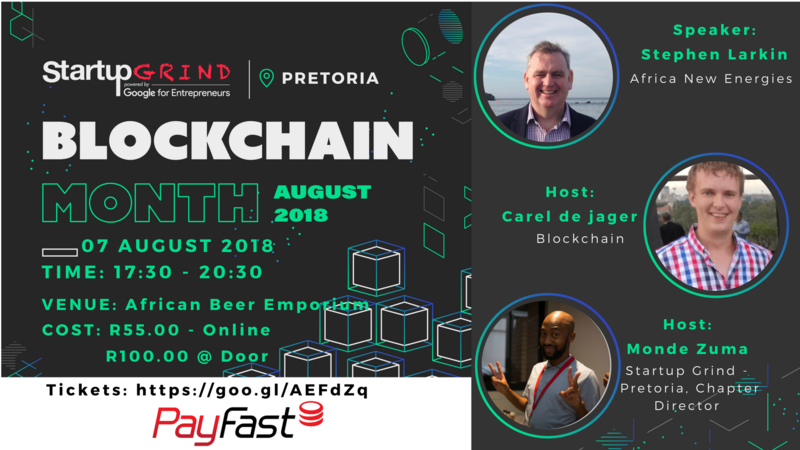 Join StartupGrind Pretoria on Tuesday evening, 7 August for a fireside chat on all things Blockchain and Cryptocurrency, with our instructor, Carel de Jager and Stephen Larkin. The session aims to remove the confusion and provide education to individuals and organisations, on how they can use the blockchain technology to understand the benefits and opportunities that exist. The goal is to get you up to speed with everything whats happening in the world of this new and exciting in blockchain technology and cryptocurrency.